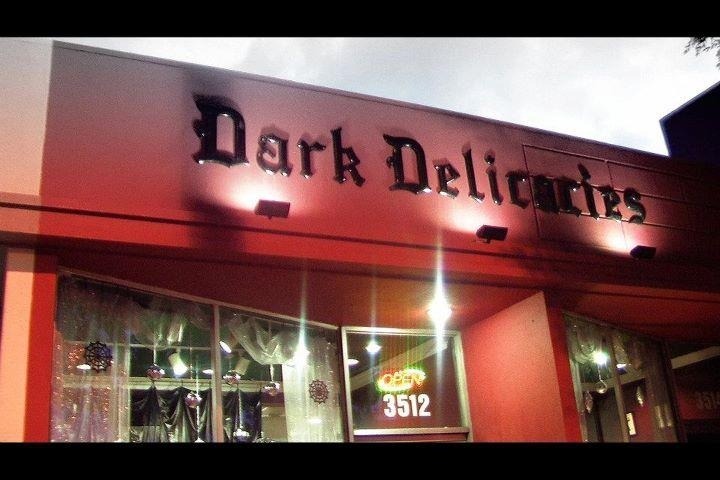 Burbank's amazing quarter-century institution Dark Delicacies is a horror book-, memoribilia- and clothing-store that is a community hub for genre creators, hosting a wonderful stream of events, signings, and even an annual chance to get your photo took with Krampus at a Christmas open-house. It's also a potential casualty of the skyrocketing rents in Magnolia Park, where greedy landlords are throwing out the neighborhood's unique indie tenants as fast as they can in the hopes of luring in multinational corporations to open stores that can already be found in every mall and that will destroy any reason for people to come to the neighborhood in the first place. I live a five-minute walk from Dark Delicacies and they've hosted events and fulfilled signed-book orders for me in the past. They're great, community-minded people, and due to a rent-hike, they're moving to a space around the corner (it could be worse -- until they found the new space, they were going to shut down altogether). But having run a shoestring, passion business for so many years, they lack the funds to pay for the move, so they're hoping their supporters in the neighborhood will kick in for a GoFundMe where they're hoping to raise $20,000. They're at $3,400 right now and I just kicked in $100.